When a plumbing issue rears its ugly head, you need to call for professional service immediately. There’s nothing worse than a clog, leak, or worse. And whether it’s day or night, Emergency Plumbing & Solar is awaiting your phone call. In fact, we have plumbing technicians – most of whom have over five years of experience – standing by to handle your issues promptly. When it comes to plumbing service, not all plumbers are equal. In Oahu, we’re the number one most trusted repair service. There’s a reason for that. More homeowners and local businesses have called us to handle a leak, clog, or low water pressure situation. Why? Because we have the experience and passion for completing the task on-time and within your budget. Don’t let repairs get out of hand! Whether it’s a new fixture or a high-efficiency water heater, EPS can handle the installation. Now, most homeowners would consider doing the job themselves. It would save money, right? Well, unfortunately, that’s just wrong. When a fixture or water heater isn’t installed by a professional, you run the risk of long-term damage, costly repairs, and lower efficiency. That means more money spent per month. When repairs don’t cut it, a replacement may need to be brought in. At EPS, we’ll make the replacement process as seamless and painless as possible. 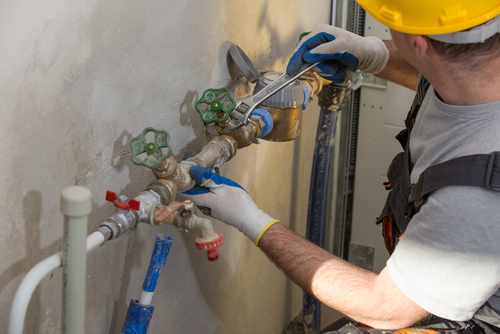 Once we determine a replacement is required, our plumbers will get the job done. There’s nothing better than preventative maintenance to stop costly repairs in their tracks. Schedule maintenance service with us, and we’ll ensure your plumbing system runs optimally. Don’t let the quality of your plumbing suffer any longer! To schedule plumbing service, contact Emergency Plumbing & Solar by calling 808-691-9309. We’re here for you! Plumbing Services Overall rating: 5 out of 5 based on 10 reviews.